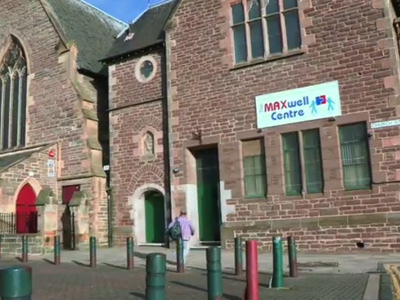 The Maxwell Centre is based in the heart of Dundee's Coldside. Our mission is to improve the quality of life for the local community through support and empowerment. Our vision is completely focused upon improving the quality of life for the local community. We work with the community to ensure they are involved in in influencing the services provided to meet their changing needs. We recognise that members of our community are excluded from social, economic, and political opportunities because of low income, cultural oppression, physical obstacles or prejudicial attitudes. We work tirelessly with our community to achieve change. We appreciate social inclusion is a completely active process and must be done with the community and by them. It is a participative and dynamic process of learning, action, and reflection. We care about the health and well-being of our community and recognise it is enhanced when people are motivated and able to participate in meeting their needs. We are committed to empowerment. Exclusion is mostly based on a lack of power and influence and imposed solutions are not the answer. We work with our community by offering the ability to learn new skills and provide opportunities that promote self-confidence and worth. We never stop believing in a better future for our community and will MAXimise potential for Feeling Well, Being Well, and Doing Well.